The son of Eastern European immigrants who fled persecution during World War II, Joseph Swedish is passionate about working to end discrimination. “I believe that my position as a healthcare executive and a leader of people presents an opportunity to do something about it,” Swedish said in a 2010 diversity report for Trinity Health. Having assumed the role of CEO of Anthem in March 2013, Swedish is committed to ensuring that the company’s increasingly diverse patient base receives quality care, regardless of race or background. “He is an agile leader at a time when major transformations are requiring health-benefit companies to examine new ways to better serve our stakeholders,” said Jackie M. Ward, chair of Anthem’s board of directors. Swedish served for nearly a decade as President and CEO of Trinity Health, one of the nation’s largest Catholic healthcare systems. There, he appointed himself chief diversity officer and helped grow Trinity into a multi-billion-dollar health system with hospitals in 10 states. In 2010, he launched the Equity in Care project, requiring staff to record patient-language preferences and other demographic information to eliminate healthcare disparities. 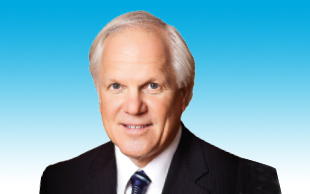 His previous roles include President and CEO of Centura Health in Colorado and President of the East Florida and Central Florida divisions of the Hospital Corporation of America. 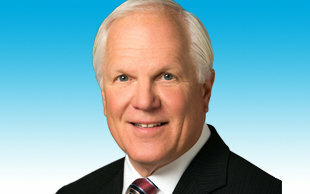 Swedish is chairman of the board of trustees of the Catholic Health Association and chairman-elect of the American Hospital Association‘s Health Care Systems Governing Council. He also sits on the boards of the Health Care Education Trust and the National Quality Forum. Swedish received a bachelor’s degree from the University of North Carolina at Charlotte and a master’s degree in health administration from Duke University. He and his wife, Gene, have three adult children.